Despite the interest and pervasiveness of mentoring there has been little attention devoted to professionalizing mentoring for program managers in learning organizations, especially post-secondary institutions, and there are scant resources available for mentoring coordinators. This book fills that gap. Drawing on research on mentoring and coaching in psychology, education and organizations, this guide translates research into practice by helping program administrators learn more about the behaviors of mentoring, stages of mentoring relationships, elements of high quality relationships, and recognizing and avoiding dysfunctional ones. 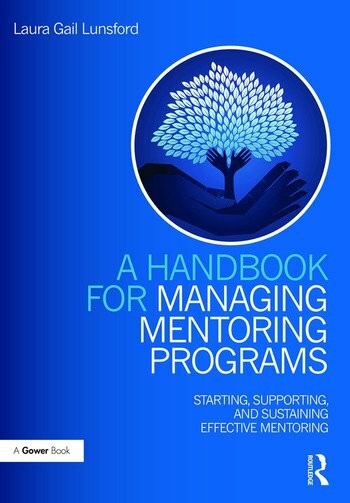 The book includes diagnostic surveys and case studies that coordinators might use in their programs and makes an important contribution to the literature on mentoring, providing a practical, up-to-date resource for those working in the field on how to set up, run, and evaluate their mentoring programs. Laura Gail Lunsford is the Director of the Swain Center at UNC-Wilmington's Cameron School of Business. Prior to becoming the director she was a tenured Associate Professor in Psychology at the University of Arizona. She studies leader development and the psychology of coaching and mentoring. Her teaching focuses on cognitive, interpersonal and organizational psychology. These interests have been influenced by working more than two decades with talented individuals. Her research focuses on the psychology of mentoring in higher education and she has published 30 chapters, peer-reviewed articles, and case studies on mentoring and leadership. Over the last six years she has given 20 peer-reviewed talks at conferences on mentoring in the U.S., Mexico, and Europe. In addition she consults with organizations interested in leader development and mentoring/coaching programs.